Would this come and sell well in Singapore? 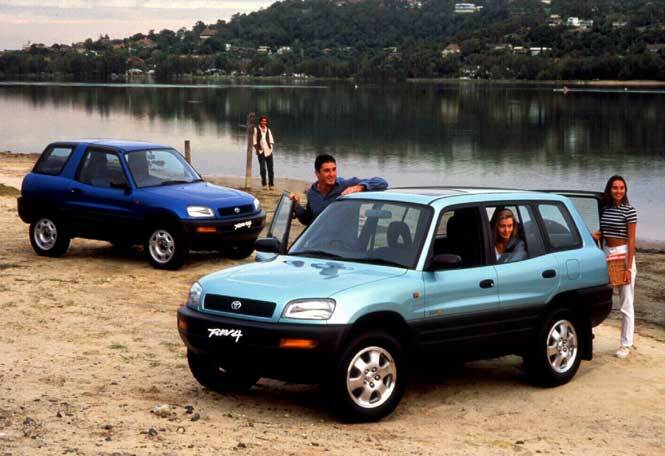 Considered the first-ever compact crossover, the Toyota RAV4 debuted in 1994. This brings up two thoughts: 1) that CUVs have been around much longer than the current sales craze indicates, and 2) how are there only four generations of RAV4 in 24 years? Well, the first-generation slogged through a 16-year cycle, but as consumer demands increased, vehicle life cycles decreased in retrospect. Which brings us to today’s world debut of the all-new 2019 RAV4. And the grandfather of the crossover segment is looking younger than ever: less cute ‘ute and more brute youth. At first glance, the only indication that the new RAV4 is indeed a Toyota is its ever-familiar oval emblem. Outside of that, the crossover evokes brawn and strength—words that generally describe true body-on-frame trucks and SUVs rather than car-based, unibody crossovers. But the 2019 RAV4 is full of bold character lines, chiseled features, and a grille that looks just as annoyed to be sitting in traffic as you are. Even its fenders, which now feature squared-off black plastic cladding instead of body-colored metal look (and I can’t believe I’m saying this) appropriate and attractive. The new RAV4 will drop a trim (Platinum) but details for the full lineup are sparse. However, an XSE Hybrid model is all-new and with it comes standard two-tone exterior paint. A black roof is paired with shades of gray, white, silver, and a new blue to give the hybrid a distinctive exterior style but in an atypical hybrid way (i.e., not frumpy looking). Adventure grade models also receive the new double-color scheme but with a white roofline similar to smaller sibling CH-R. This is available only on black, blue, and a new of-the-land greenish hue called Lunar Rock. For 2019, with the Platinum trim gone, the Limited is left as the sole heir to RAV4 luxury. This top-of-the-line model is outfitted with 19-inch wheels and chrome accents to further distinguish its premium-ness. Of course, the Limited receives more than just flashy alloys and shiny bits. Standard features include a power moonroof, 8-way power-adjustable driver’s seat with lumbar support, a newly-designed 7-inch infotainment touchscreen, and a rearview mirror camera, which is a North American-first for Toyota. Similar to what is available on General Motors’ premium brands, Toyota’s Digital Display Rear Mirror looks and acts like a conventional rearview mirror but toggle a switch and it will also display a high-definition, wide-angle view of what’s behind the vehicle. The Limited doesn’t hoard all the fancy gear, though, as all 2019 RAV4 models will be equipped with Entune 3.0, which includes Verizon-powered Wi-Fi connectivity, Amazon Alexa compatibility, and Apple CarPlay integration. Available Entune upgrades include Plus for a larger 8-inch touchscreen and satellite radio or Premium, which adds navigation. Also available will be up to five USB ports, wireless device charging, and an all-new 11-speaker JBL sound system. The 2019 RAV4 will be powered by two engines: a 2.5-liter 4-cylinder paired with an 8-speed automatic, and a 2.5-liter 4-cylinder second-generation Toyota Hybrid System II engine mated to a CVT. Horsepower and fuel economy figures are not yet available but the automaker says consumers can expect improved, even best-in-class, numbers with the new model. Driving dynamics are said to have improved as well, particularly with the XSE Hybrid, which Toyota claims is the best-handling of the RAV4 lineup. The new hybrid features a sport-tuned suspension along with improved shock absorbers and springs. There also are three all-wheel-drive systems for the 2019 RAV4. Entry-level models can be optioned with the carryover AWD system, hybrids are available with AWD-i, and a new-to-Toyota dynamic torque vectoring AWD, which will be standard on Limited gasoline models and Adventure grade RAV4s. Featuring a rear driveline disconnect, the new torque-vectoring AWD system can send 50 percent of the engine torque to the rear wheels as well as distribute it to the left or right to improve handling. Additionally, when equipped with AWD, Adventure models are outfitted with Multi-Terrain Select as standard. The new system offers four driver-selectable traction modes (snow, mud, sand, and rocks) that can be adjusted on the fly. 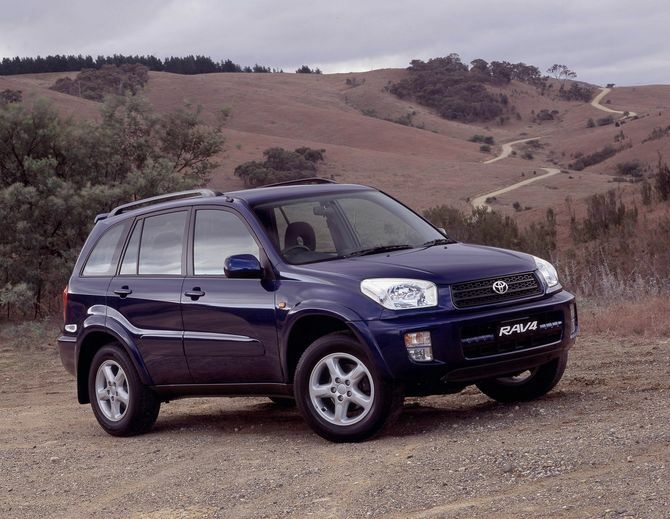 But performance isn’t the only priority in the new RAV4. For 2019, the lineup will be equipped with Toyota Safety Sense 2.0, the automaker’s second generation of advanced safety and driver-assistance technologies. Standard on all vehicles, the technology package includes: pre-collision with pedestrian detection, adaptive cruise control, lane departure warning, lane keep assist, automatic high beam as well as new-for-2019 lane tracing assist (enabled only with ACC) and road sign assist (identifies and alerts to upcoming signage). The 2019 Toyota RAV4 will go on sale at the end of this year while hybrid models will follow suit in early 2019. We expect final specs and pricing closer to its on-sale date, if not sooner. Edited by BabyBlade, 29 March 2018 - 08:52 AM. I drove Gen 2 & Gen 3, hope can get one of this Gen 5 in the new future. when it comes to SG probably will be a strip down model due to our tax. Drove the RAV4 current generation while in USA. Wildly popular as a rental car there along with Nissan Rouge. Power is decent enough but the transmission is mushy and steering is vague. Rest of the interior cannot comment as it is rental so usually pared down interior trims with fabric seats. PI will bring in first. If its popular, BM will bring in within 6 months. It will be better to bring in a 1.6l or 1.8l instead of a 2.0l version. May attract more buyers with the lower road tax. Will this car cannibalize the Harrier sales? Being newer model it might though Harrier is so popular that it's hard to see it being cannibalized but I get price would be the determining factor? If it's smaller than the Harrier, don't think so. It might threaten the CH-R instead, if it is a 1.6 variant. BM always carry Rav4 even it is not saleable. I think it must some kind of commitment with Japan Toyota. Now the model is 2.0L NA engine. If down size to 1.6L it will be under power. The best is 1.2L turbo that CH-R using now. Jap is moving towards hybrid NA. Edited by Davidtch, 29 March 2018 - 04:27 PM. Edited by MQX87511, 29 March 2018 - 07:56 PM. Are you talking about hybrid or Plug-in hybrid? Hybrid don't have massive battery le. Even PHEV also don't have massive battery. After driving TC car... and have to deal with the turbo lag and other idiosyncrasies.... think my next car if can get NA engine will be happy. ehh are you referring to a specific hybrid model? Edited by kdash, 29 March 2018 - 10:36 PM. Mini R56 has minimal lag to the extent i don't notice it. What kind of idiosyncrasy you encounter? For modern TC engine, it has high torque at low RPM. The equivalent size NA will depends on whether you want HP or torque. For example, Toyota Crown Athlete 2L TC produced 235hp & 350NM of torque. 2.5 V6 that produced 203hp will more or less match 2L TC hp. To matach 350NM torque, 3.5 V6 is required. No use quoting peak figures. You need to know the shape of the hp and torque. You drive at 6000rpm everyday? Edited by Mkl22, 30 March 2018 - 01:09 PM. That's why TC is the best. Reliable Car with Dated Interior.